Everything here is a Breton-striped, wind-swept dream. Explore the picturesque fishing villages and rocky coasts on a quest for the perfect newspaper-wrapped fish and chips. Admire quaint streets, charming buildings, and dinghies cheerfully bobbing up and down on the Solent. Here there is a beguiling yet joyful atmosphere of yesteryear all around – a perfect antidote to the noise and clamour of modern life. 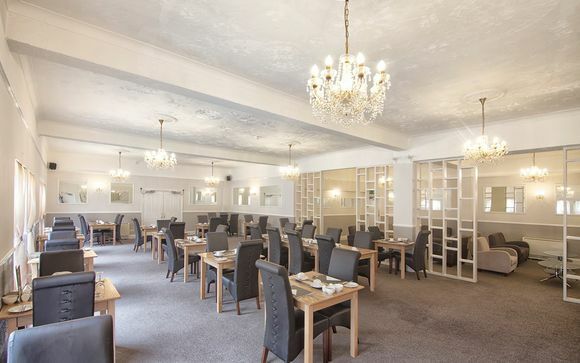 Set in a peaceful location near the edge of Sandown, adjacent to the stunning Los Altos Park, and mere minutes from picturesque Sandown Bay, this elegant and sophisticated spa hotel enjoys prime location on the UK's Isle of Wight. 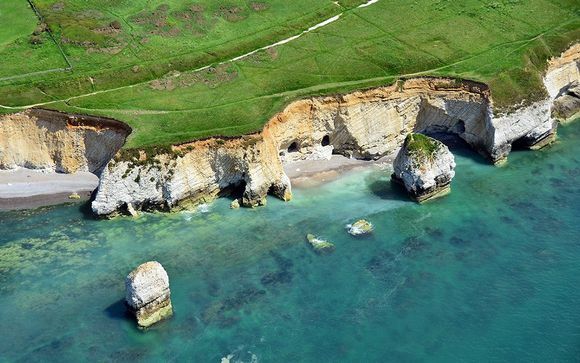 Sandown sits on the Southern Coast of the Isle of Wight, sheltered in peaceful bay, and is famed for its long stretches of golden sandy beach and classically British pier and seafront. Please note that travel to the Isle of Wight from the United Kingdom requires travel by Ferry. Cost of Ferry Travel from Southampton to Cowes is included in our offer. Alternatively, Car Ferry travel is available from Portsmouth & Lymington for a surcharge of £20 per Car (+peak travel date supplements £15 per car applies to 26th April, 27th & 29th May). Supplement to be paid directly to hotel. Melville Hall Hotel & Utopia Spa is a mere 5 minutes walk from the beach and offers comfort and amenities in a picturesque setting. An idyllic retreat to the British seaside, the Melville Hall Hotel & Utopia Spa offers classical rooms, a tempting restaurant, and spa facilities featuring a plunge pool, spa bath, and sauna. Whether you are seeking a spa and gastro weekend, or a relaxing time reconnecting with nature with long walks on the beach, the Melville Hall Hotel & Utopia Spa is your perfect destination for a charmingly British seaside retreat. Please note, this is an adults-only hotel. 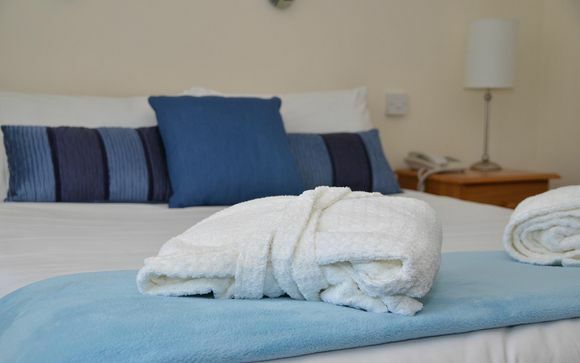 Classic Double Rooms (215 ft²) are adorned in calming colours and textures and feature an en suite bathroom with bath and shower, tea/coffee making facilities, desk, flat-screen tv, and a comfortable double bed. Decor is classically British and you'll feel right at home on the British seaside. The Summerhill Restaurant serves traditional British dishes. The bright and airy decor create a peaceful setting in which you can treat yourself to the best of local and seasonal ingredients prepared by the head chef. 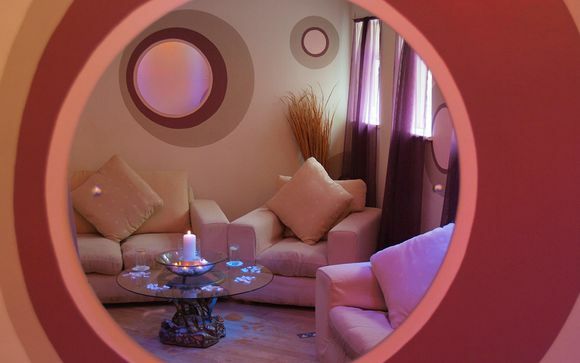 After a day spent on the seaside walking along the shore, rejuvenate and pamper yourself at the Utopia Spa Leisure Club. The combination of a serene location and leisure facilities will leave you totally chilled whilst at the same time invigorating and recharging your body and soul. The spa offers facilities such as: indoor plunge pool heated to a constant perfect 86 degrees with a views across to Brading Downs, a "Spacuzzi" heated to a warm 96 degrees - perfect for a relaxing soak, a sauna, and during the summer months, an Outdoor Experience Pool and Large Outdoor Hot Tub as well as treatments and massages on offer. Ferry Travel from Southhampton to Cowes is included in this offer.